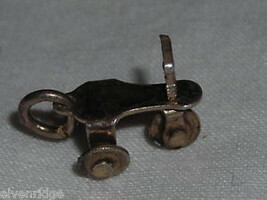 Measures 1/2 inches long x about 1/4 inch wide. Front handle bar and wheel move to actually steer. Not that it matters or anyone could actually ride it. Too small for house brownies and elves.